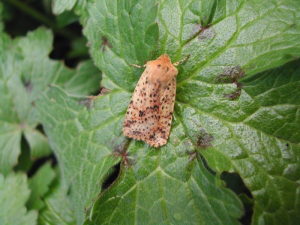 Observation - Dotted Chestnut - UK and Ireland. Description: An attractive noctuid moth that hibernates and re-emerges in Spring. Perhaps expanding its range? An attractive noctuid moth that hibernates and re-emerges in Spring. Perhaps expanding its range?